The Hobie Mirage Adventure Island combines the joys of a sailboat, kayak, trimaran and fishing boat all in one package. Featuring the new MirageDrive 180 & legendary Vantage seat. The Hobie Adventure Island has to be the ultimate Hobie kayak. It is inspired by the Polynesian multihulls . Sailing the Adventure is easy and when there is no wind it can still be paddled. 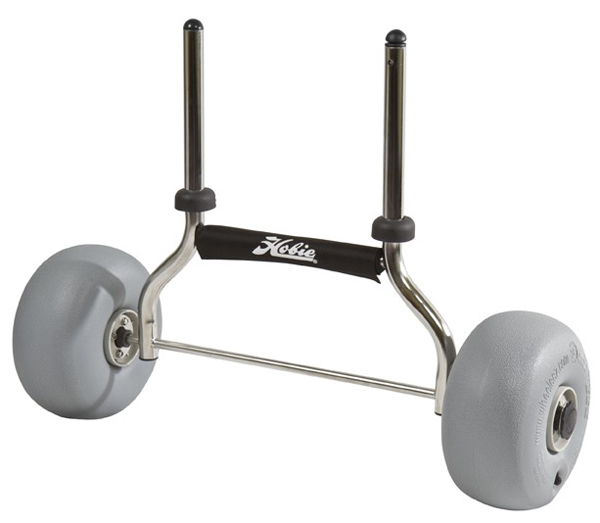 The ama outriggers make it very stable and cope with the wide range of conditions the elements can create. 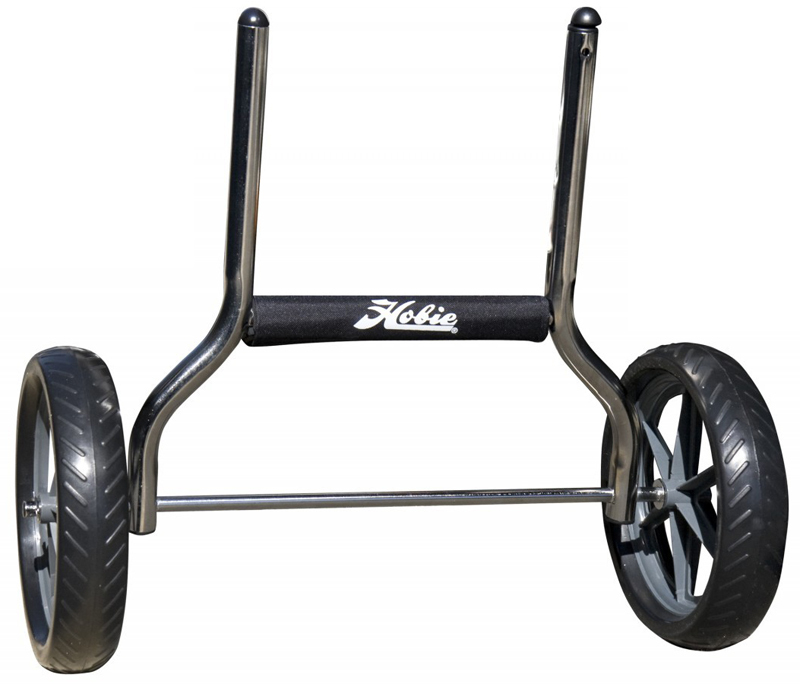 The Hobie A.I. 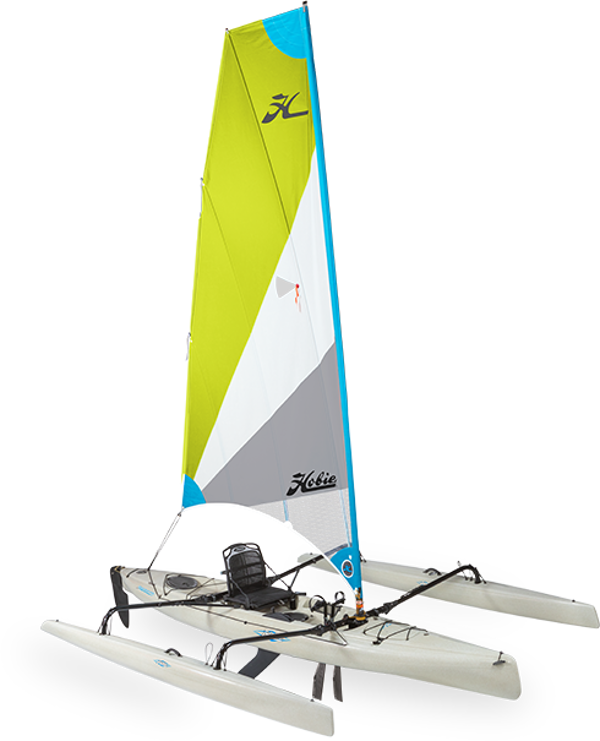 features a boomless, roller-furling sail rig with plenty of sail area for excellent performance, completely manageable from the cockpit with the pull of a line. Two retractable amas that fold up against the side of the boat, again with the simple pull of a line, for easy docking, manoeuvrability, and transport. 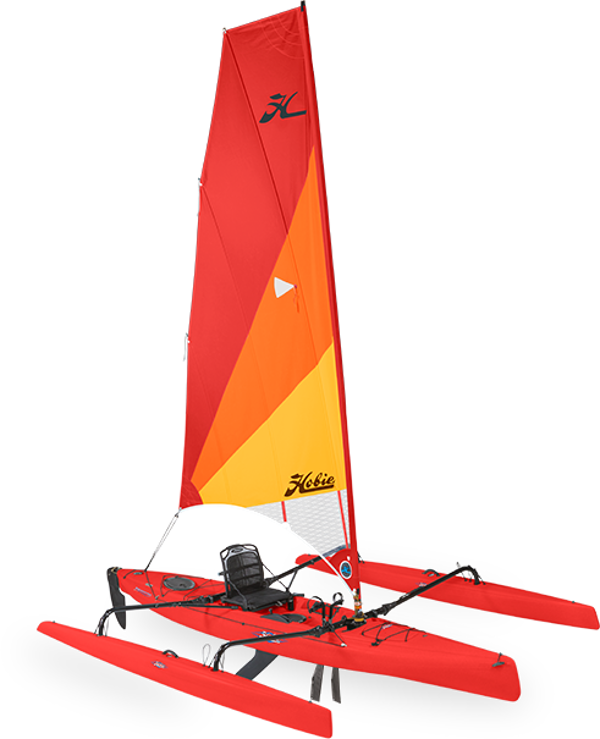 The Hobie Mirage Adventure Island offers full versatility as a pedalling kayak when conditions are not convenient for sailing. 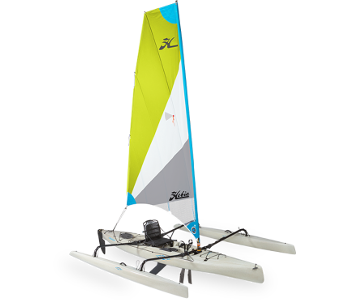 The Hobie Mirage Drive allows the boat to be pedalled while under sail, or simply pedalled with the sail furled for versatility not found in any other sailboat. The Adventure Island is loaded with additional standard features such as a daggerboard; oversized "Twist and Stow" rudder; Mast and Sail Cover; and an Ama/Daggerboard Bag. 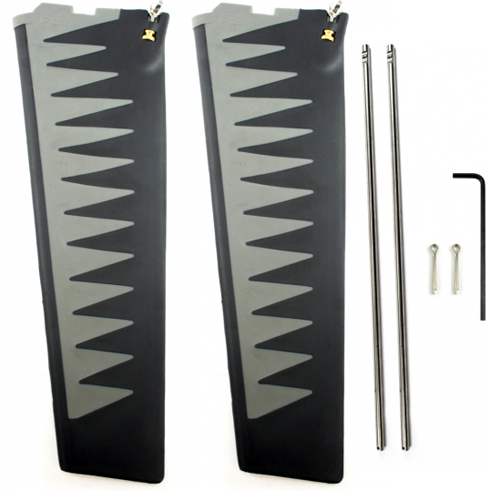 Four crossbar arms with carrying bag. Two-piece mast with storage bag. We offer a delivery service for the Hobie Adventure Island to home and work addresses throughout England, Wales, Scotland, Northern Ireland & Ireland. Buy a Hobie Adventure Island online from our website and collect from our store in Newhaven, East Sussex or from any branch within the Canoe Shops Group. There is no cost associated with this*. We can now offer 0% Finance on the Hobie Adventure Island (0% APR Representitive).